FileCloud is a multi-platform, self-hosted file sync and sharing solution for Businesses. FileCloud runs on both Linux (Ubuntu, Debian, cent OS, Red Hat) and Windows servers. It also supports variety of backends as file storage layer: SMB/NFS share, Microsoft DFS , object based storage systems like amazon S3 and Openstack swift. Because of its modular design and versatile nature FileCloud can be used in variety of ways to address specific business problems. Time to time, we get requests from customers to address a specific business problem. 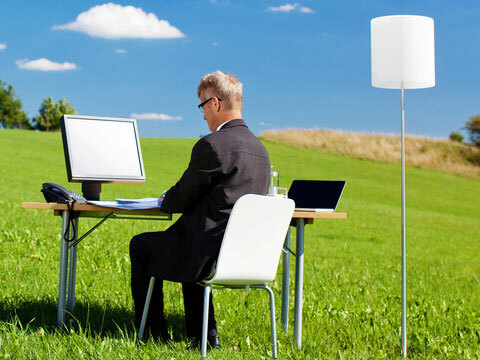 One such scenario is Remote Office/Branch Office File Sharing. Companies are more distributed than ever with branch offices and remote workers across different geographical locations. The business bandwidth is really expensive in many countries and the network latency can also hamper the collaboration. This particular customer is in media/advertising business and has offices in two different cities. They run primarily windows infrastructure and use NTFS permissions to manage network share access. In the media/advertisement business, the users create a lot of large Adobe design files in the course of their day-to-day work. The customer wanted minimum latency and faster access to the files irrespective of the geographic location. The customer also wanted to use Microsoft DFS as a back end file storage to facilitate master-master replication between the branch offices. If you want a simple explanation for Microsoft DFS, It is a windows client/server technology that provides the ability to logically group SMB shares on multiple servers (can be geographically located in different places) into one or more namespaces. DFS offers wide area network (WAN) friendly replication as well as high availability access to to geographically dispersed files. DFS Replication supports replication scheduling and bandwidth throttling which is a very useful if the business operates in different time zones. It uses Remote Differential Compression to detect and replicate only the change to files, rather than replicating entire files which saves bandwidth and provides quick synchronization of files. DFS Namespaces. Enables you to group shared folders that are located on different servers into one or more logically structured namespaces. Each namespace appears to users as a single shared folder with a series of subfolders. This structure increases availability and automatically connects users to shared folders in the same Active Directory Domain Services site, when available, instead of routing them over WAN connections. DFS Replication. DFS Replication is an efficient, multiple-master replication engine that you can use to keep folders synchronized between servers across limited bandwidth network connections. For Step by Step guide to configure DFS please check the technet documentation. FileCloud uses mongodb to store the file metadata and share information but the actual files are stored in SMB/NFS/DFS or object based storage systems like S3 or Openstack Swift .FileCloud also supports existing NTFS permissions for file access so that the business can keep the permissions in one place for better security. We recommended the customer to have a FileCloud site in each of their branch offices (site1.company.com, site2.company.com) . Both sites point to the the same database instance located in the HQ. The actual files are stored in Microsoft DFS which are replicated between the branch offices. The following diagram explains our recommended architecture. The customer deployed our recommended design and very happy with the results he got. Using the following architecture, the employees in both offices are able to access, share and sync files without any bandwidth latency and at the same time collaborate with the HQ easily. If your business has branch/remote offices and uses Microsoft server technologies, . 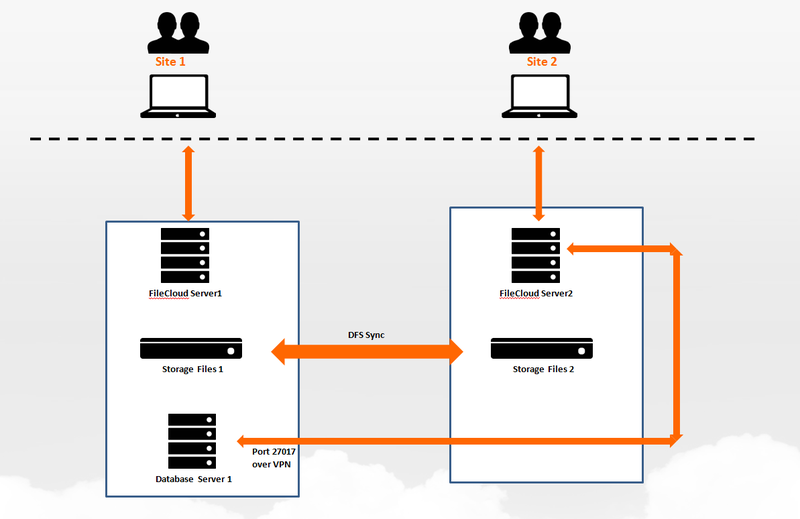 FileCloud with Microsoft DFS is an ideal design for Remote Office/Branch Office File Sharing. If you need any help in such setup please feel free to contact us. OwnCloud Windows Alternative? Checkout FileCloud!